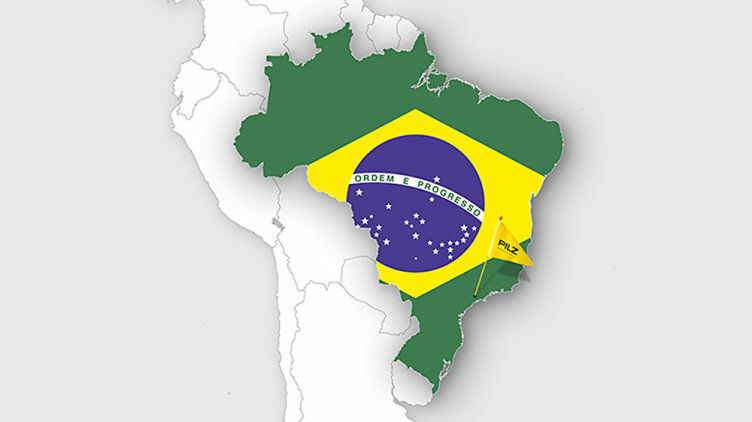 Any manufacturer wishing to sell machinery from all over the world to Brazil must do so in accordance with the Brazilian regulatory standard NR-12. In turn, NR-12 obliges operators of machinery in Brazil to put in place protective measures for their employees. 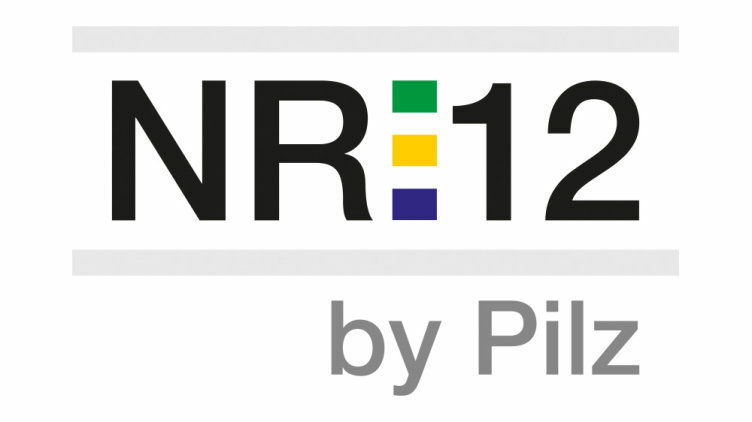 NR-12 introduces technical references, basic principles and protective measures to ensure the health and physical integrity of workers. It also establishes minimum requirements for the prevention of accidents across the entire lifecycle of a machine. NR-12 applies to new and used machinery and also includes measures for converting existing machinery. 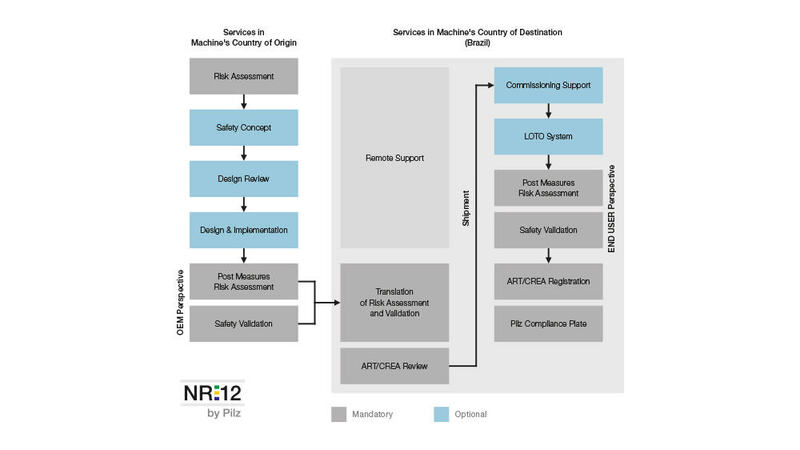 Benefit from our structured procedure for the conformity assessment of your machine with regard to NR-12. It's applicable worldwide! As a complete supplier we can provide support from risk assessment to validation and technical documentation at the machine manufacturer's, right through to final acceptance at the operator's on site in Brazil. The result: an NR-12 compliant machine, including documentation for the local authorities. *Pilz Brazil is officially registered with CREA/ART and so has to provide the official approval and conformity assessments for users and manufacturers in accordance with the regulatory standard NR-12. Regional council for engineers, which assesses and registers safety specialists. Parts of the NR-12 documentation must be produced by an engineer registered with CREA. Required document, which defines the responsible engineer for a product or service. Right from the design process we can advise you on compliance with all the relevant standards and the requirements of the directives. We can guarantee this throughout the whole project – at global level. Our experts in Brazil are acknowledged specialists in the field of NR-12 compliance; they can support your project and clarify the local formalities for gaining acceptance in Brazil. 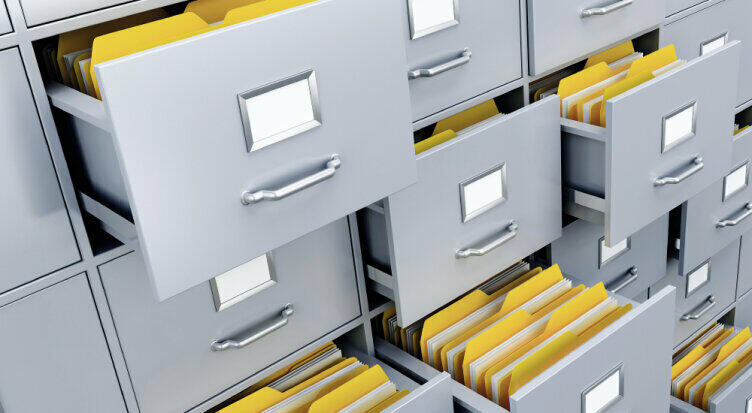 Save time and costs by following our standardised procedure, following a standard international flowchart.